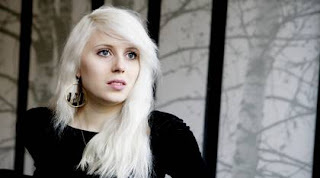 Surprisingly Amanda Jenssen's invited to popular Swedish-Norwegian show Skavlan has decided not to perform her newest single "Ghost" but the b-side "Illusionist" I was talking about recently and the choice was quite right. The song has rocketed in Swedish chart but even better in Norway (currently in Top-20), the same about latest Amanda's album "Happyland" which has got a pretty big demand on Norwegian iTunes. So Scandinavia is definitely waiting for Amanda's next album and it's out already on November 14th.